What is the Med-Start program? Med-Start is a summer academic enrichment program for any 11th grade Arizona high school student interested in a health career. Students participate in the program during the summer between their junior and senior years. Med-Start, sponsored by the University of Arizona Health Sciences Office of Diversity and Inclusion, was created in 1969 to help improve healthcare in rural, reservation, and economically disadvantaged areas through the recruitment and training of students from these regions. Med-Start helps young people prepare for their future in the health professions by exploring career opportunities and providing college level coursework in English and science. In Tucson, AZ. It is a six-week residential program; participants travel from their homes in all regions of Arizona to reside in dormitories at The University of Arizona, Tucson campus for the entire six-week program. When are the dates of the Med-Start program? The Med-Start program begins in June and run into July. Who can participate in Med-Start? Do I qualify to attend Med-Start? How much does Med-Start cost? The cost of attending Med-Start is approximately $4,100. 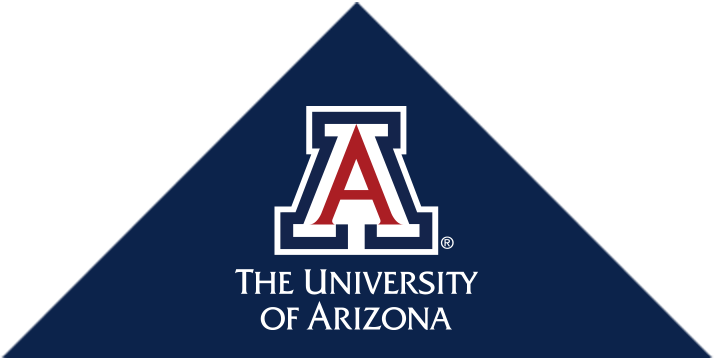 However, financial scholarship or tuition waivers are available through The University of Arizona. In addition, our Med-Start partners work throughout the year to help reduce this cost to the student and their families. Please do not let this cost discourage you or your student from applying to the Med-Start Summer Program. How do I begin the process? Where do I start? Begin the process by filling out the online application. Applicants must create a profile with an email address and password. This will allow you to return to your application and make any changes until you are ready to submit a completed application. Each applicant must create an account with a valid email address and password. Please keep track of this information for future reference. Fill in the appropriate information required for the application. Students may save their application information and return at any time to make changes before submitting it to our office. Deadline for application and all supplemental materials is February 1 at 5:00pm. If you have difficulty completing the online application, please contact us. If you are accepted into the program, you will receive additional forms with your acceptance packet. Applicants will need to request an official high school transcript be mailed to Med-Start. Incomplete applications and materials received after 5:00 p.m. on February 1 will not be considered. Faxes and emails will not be accepted. Your high school counselor should also have information about Med-Start. If you have any questions, please contact our office. After you complete each of the required components of the application, an email will be automatically sent to you. Read each email carefully as it will have detailed information about what has been received. Please use the checklist and flowchart to keep track of your own status as you work on your application. If you can’t remember your password, you can easily retrieve it by following the “forgotten password” link on the log-in page. DO NOT CREATE ANOTHER ACCOUNT. Creating a duplicate account may result in you missing deadlines that will cause your application to be rejected. If you change your email address contact us and we will update your account for you. I can't get into my account! What do I do? If you are having problems and cannot access your account for any reason, contact us, and we will help you to resolve the issue. February 1st at 5:00 p.m. It is the applicant’s responsibility to be sure that all items are submitted no later than February 1st at 5:00 p.m. Be sure to check your email regularly for information, and save the emails that confirm that each component has been received. Once the entire application and the supplementary items have been submitted to our office, all information will be final. If you have any questions about the online application, please contact us. How will Med-Start contact me? The Med-Start office will be sending you confirmation emails through our office email address azhealth@email.arizona.edu. Please check your SPAM filters to ensure you receive all our emails. Can I download the application packet? Yes, to start your completion process. However, all applications need to be submitted online. Once you create an account, you will be asked to complete your information online. However, if you would like to print out the pages for review while you are still working on the application you can do so, but you will need to go back to the computer to enter your information online. This will ensure that your information is accurate and that we receive your application on time. After you complete and submit the online application you will be able to print out a hard copy of the information you entered. Please note, only applications submitted online by the deadline will be considered; hard copies of the online application are not accepted. Yes. As part of the online application process, two (2) online recommendation forms must be completed for your application to be considered. How do I notify my recommenders? Applicants: Be sure you notify your recommenders that they will receive an email request from azhealth@email.arizona.edu. Please check all SPAM filters to allow emails from this address. Recommenders: You will receive an email from our office email address, azhealth@email.arizona.edu, requesting you to submit an online Recommendation Form for the applicant. Please copy and paste the link within the email into a browser (Internet Explorer or Firefox). Complete the Online Recommendation Form and submit. If you have any questions related to this process, please email your questions to azhealth@email.arizona.edu. *Please note: Other formats for letters of recommendation will not be reviewed; only the Med-Start Recommendation Form should be used. How will I know if my recommendations are complete? Applicants will be notified via email after each recommender has submitted his/her recommendation form. Recommenders will receive a confirmation email that the recommendation form has been received. What is the deadline for recommendation forms? February 1st at 5:00 p.m. The two recommendation forms need to be completed and submitted by the recommender no later than the Med-Start application deadline. If you have *not* received emails confirming submission of recommendation forms from each of your two recommenders two weeks before the deadline, we advise you to contact your two recommenders directly and ask them to submit the form no later than 5:00 p.m. on Feb 1st or your application will not be reviewed. Appropriate recommenders include teachers, advisors, counselors, and job supervisors (not family members or friends) who know you well and would be able to describe your suitability as a participant in the Med-Start Summer Program. When will I hear whether I have been accepted? Once your application is complete, we will review all of the materials you have submitted. You will receive notification regarding the status of your application from our office by the end of April. Please understand that we will not be able to answer your questions regarding the status of your application until April. What type of schedule will I have during Med-Start? The Med-Start Summer Program consists of a demanding schedule of classes, forums, lectures, presentations, activities, and tutoring throughout the week. Classes and presentations may begin as early as 8:00 a.m. and end at 5:00 p.m. Mondays through Fridays. Weekend activities and presentations are scheduled with advanced notice. Can I have a summer job or attend another summer program? No. Due to the demanding schedule, we require that students do not work or attend another program during the Med-Start Health Careers Program. Yes. The Med-Start Tucson Health Careers Program works to cover most meals for the duration of the program; however, students may need to make additional purchases for themselves. Med-Start students will be required to reside in one of the residence halls located on the University of Arizona main campus. Students will have writing, science, and college prep assignments that will require time outside of class to complete. The amount of homework will vary from week to week.